Hi, this is Wayne Mansfield. I've just been back from whizzing around the country, and I came home and I found on my doorstep, delivered by my favorite blonde auntie, Auntie Nancy, the 100 centenary of Margaret River, and I talk to people as I go around the country and I say to them, I'm from Margaret River before it was famous. This is 100 years since the town of Margaret River itself was formed in 1913, and my grandfather and father and family have been involved in that area for all that time. I now live in city of Perth, but I have some feeling of affinity for Margaret River. Now, on my father's side, obviously, it's Mansfield, but on my mother's side, here is another book that a cousin of mine put together, the Tomlinson family. Now the Tomlinson family came to Western Australia in the late 1860's, 1870's, when the Karri Forests of the southwest were used to create the paving blocks out of wood, for the streets of London. The paving blocks of the streets of London. My great-great grandfather started Tomlinson Steel. It used to be called the Black Swan Blacksmith's Shop, on the corner of Barrack and Wellington Street in Perth. It became Western Australia's first public company, and still trades today as RCR Tomlinson. So there's a lot of history there, and I get a bit of a buzz about finding out those things. A few years ago, they created a Soccer Hall of Fame in Bunbury, which is in southwest Western Australia, and my grandfather was inducted into the Soccer or Association Football Hall of Fame in Bunbury. So we have this great family history with being in the southwest of Western Australia. What's that got to do... It just makes up a little bit about who Wayne Mansfield is. But again I was over with my blonde auntie as I call her, Auntie Nancy, and she said, "Wayne, I've got some good stuff for you." I said, "What's that?" 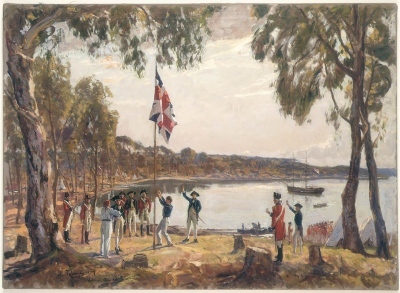 She said on our side, because she actually likes the Mansfield side rather than the Tomlinson side, she said, Gary, who's her eldest son, has found out we have a direct link to an ancestor who was on the first fleet to Sydney in 1788. I was really excited about it. Either I was one of the fortunate ones to have a direct ancestor, or one of the transported convicts, which is a great folk story. But it turns out one of my ancestors, a great, great, great cousin, but with a direct bloodline to the Mansfields out of the Midlands of the UK, was a guard on the first boat. Actually, he was the guard and his wife was a Mansfield, but he died shortly after getting to Sydney. She had about seven or eight kids, so I'm sure that we could find direct ancestry descendants, all that sort of thing in Sydney if we went and had a look. So, my family history goes all the way back to the first official boat for the settlement of Australia in 1788, and in Western Australia, it's 1868, 1870. This is something that I hope I inspire you to go and have a look, and see what's possible. 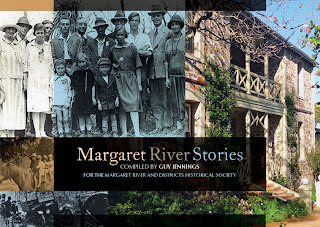 If you're really interested in Margaret River, let me just show you this book again. This is absolutely fabulous. As you can see, it's pretty heavy for me to hold up. 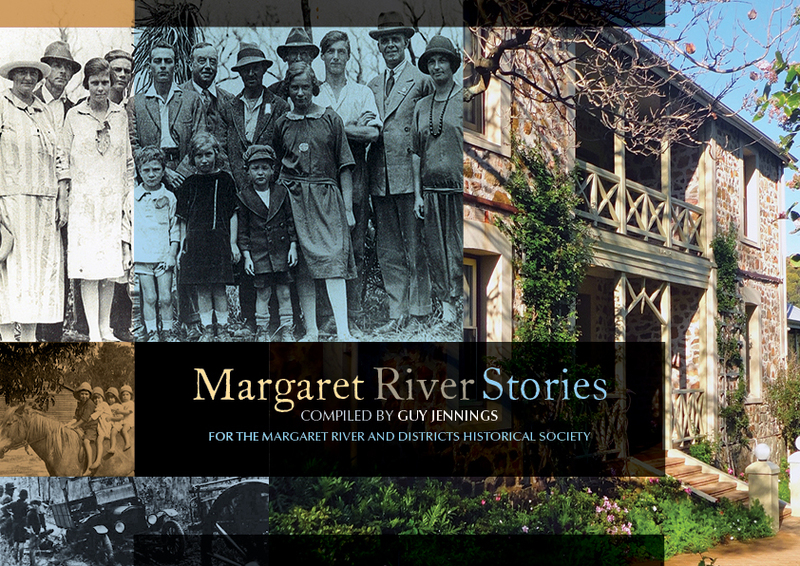 But it is the history of Margaret River over the last 100 years and all the families that are involved. In my case it talks about my granddad, my father, my sister. I don't get a mention, but I'll forgive them for that. I recommend that if you want to know who you are, track down your family history. So this is Wayne Mansfield saying, until next time, good on you.